Alright Mama’s, let’s be honest here, what’s the one thing you find you’re missing in your life? Personal time? 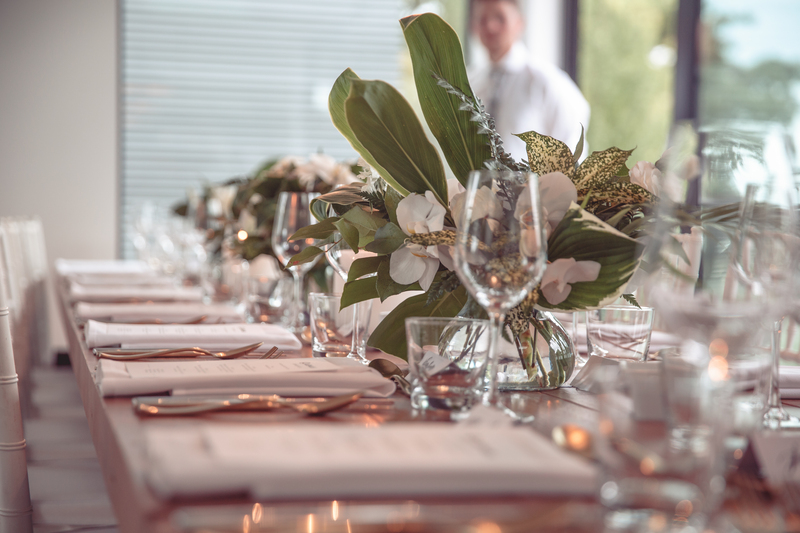 (Or just time in general) Romantic date nights with the hubby? Spa retreats with your best friends? Expanding your wardrobe to more than lululemons and Nike’s? Well, yeah, I miss all those things too, but you know that I miss the most? SPACE. There is just no space anymore! Baby toys that were easily stored in cute baskets and drawers have turned into mini kitchens with a zillion pieces of plastic food, a arts and crafts table that leads to way too many uncapped markers and stray pieces of paper and of course the uncountable amount of stuffed animals that literally take over every inch of the house…. AND car. That’s right, the car too. With the toys, car seat, stroller and dog, it’s almost impossible to get anyone else in there, am I right? So of course comes the conversation about getting a bigger vehicle and in between mini vans or ginormous SUV’s that I’d be personally terrified to park anywhere or fill up with gas, what’s a Mom to do!? 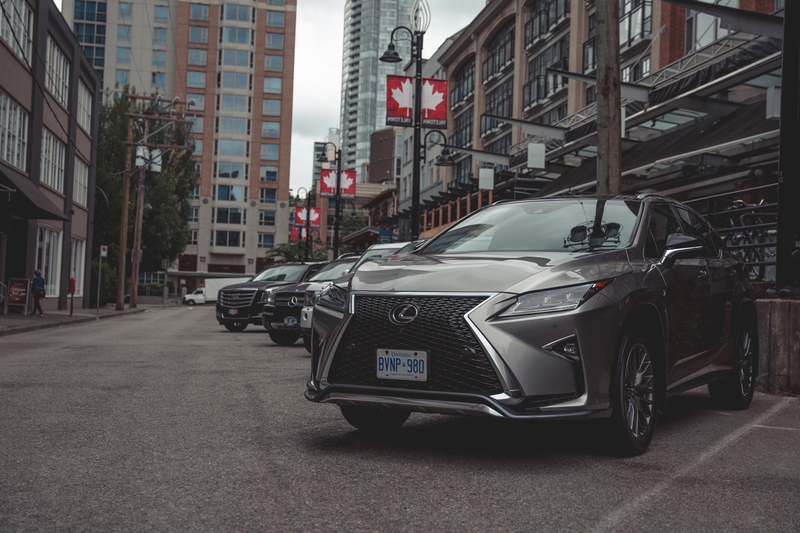 Well, I’m here to tell you that thanks to attending the Lexus Master Class event in Vancouver, I can happily say that us Mom’s finally have an amazing option in the luxury SUV category, the Lexus RXL. But, before I get into that, I want to share a bit about the day I spend with Lexus Canada, as the whole thing was an amazing experience that in turn, taught me about pillars of excellence really helped me understand why the RXL would be an amazing fit for any family looking to drive a luxury vehicle while still having more than enough space for everything they need day to day. Omotenashi – The spirit of Japanese hospitality. We started out the day meeting Lexus Canada’s amazing team from Toronto. Not only were they there to answer any questions we might have, they also took the time to get to know each and every one of us. Imaginative Technology – An immersive experience no one previously imagined possible. Our first stop was at Cha Le Tea Merchants in Yaletown. 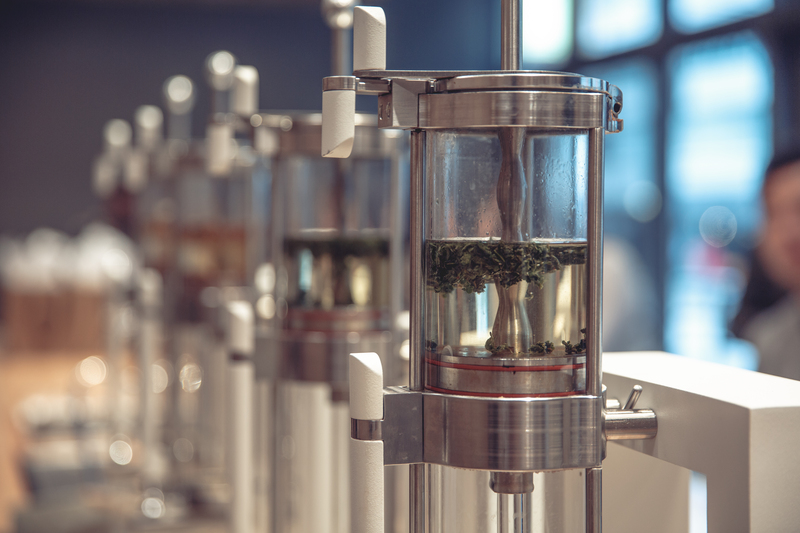 We were so lucky to experience and see how the most delicious teas are brewed in a new imaginative way. Plus, we also were served the BEST avocado toast I’ve ever had! Takumi Craftsmanship – The ancient Japanese concept that holds the essence of absolute mastery in an art or craft. 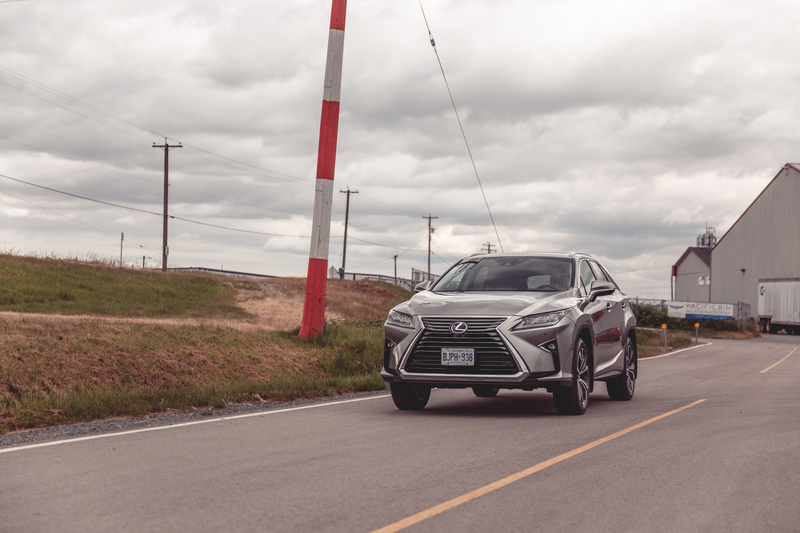 We then had our first experience in driving the Lexus RXL (and WOW, it did not disappoint. I actually ended up sitting in the back seat for this ride and was floored seeing how much room there was! We then headed over to Granville Island Market to meet with four industry leaders that also embrace the idea of Takumi Craftsmanship. 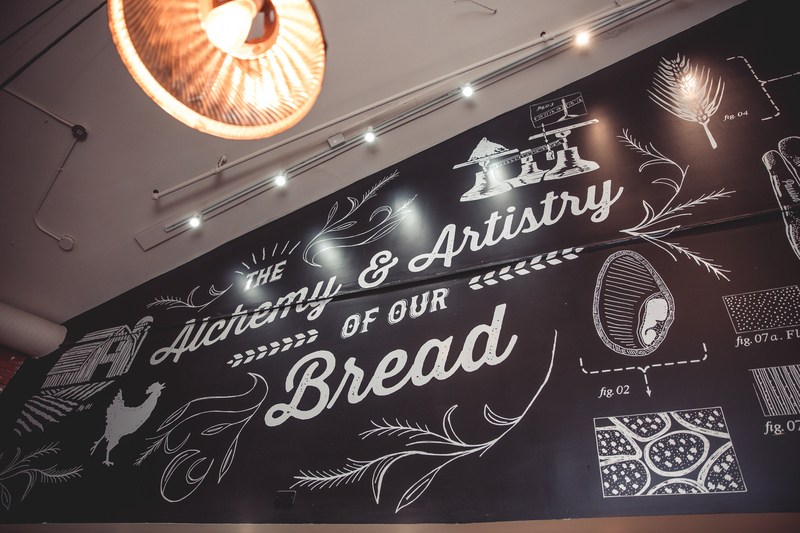 As a quick note, if you’re ever in the Granville Island area, make to sure to stop by these places! Next up, we were able to drive the RXL from downtown Vancouver to Pitt Meadows. This was a perfect opportunity to really test out the vehicle. A few things stood out that are really important to me. First, the RXL has such agile handling. It was really noticeable while driving on the highway. And secondly, the sound system was awesome! There were three of us in the car and we cranked the music to test it out. 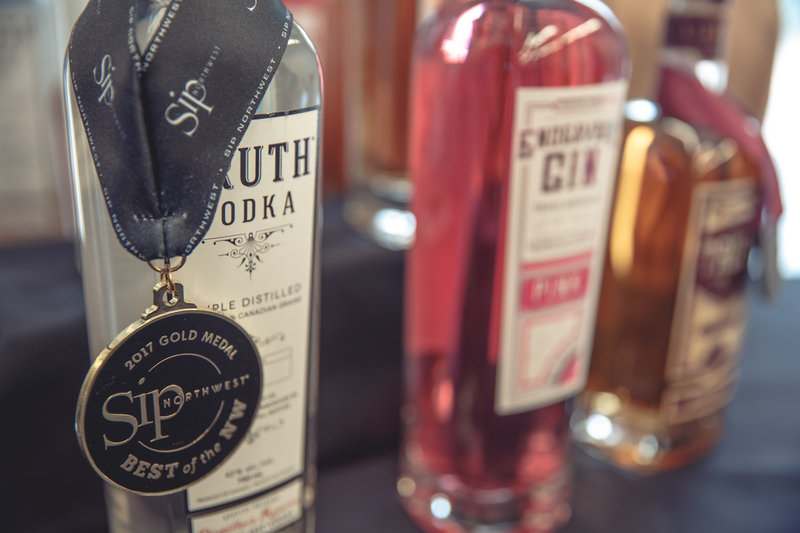 Exhilarating Performance – The feeling of anticipation and the rush of adrenaline you experience when embarking on something exciting. 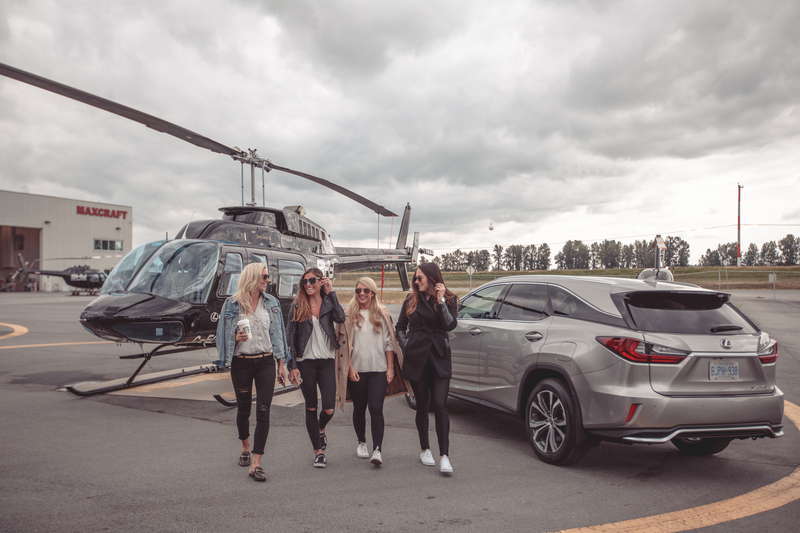 Our Pitt Meadows destination was Sky Helicopters, an absolute leader in creating exhilarating experiences. 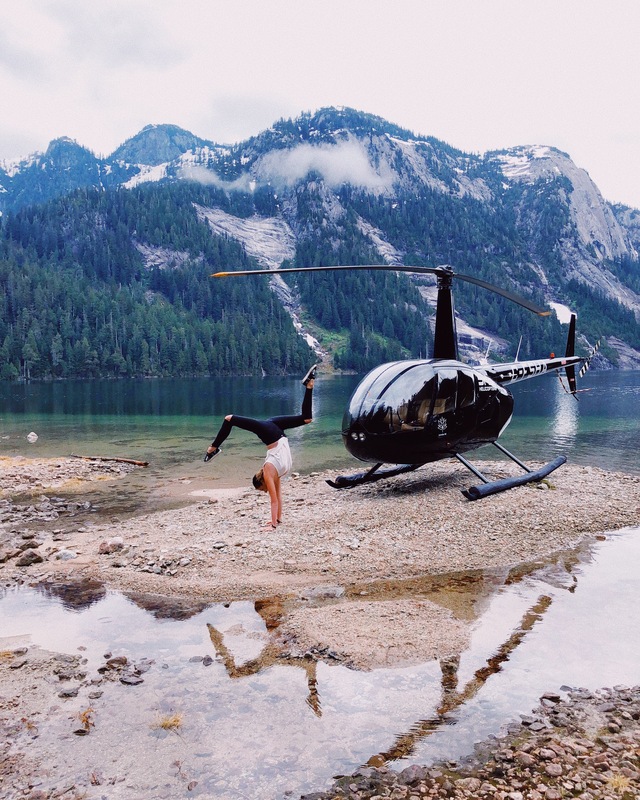 Before even having the chance to get nervous about my first helicopter experience, I was up and away being taken to British Columbia’s beautiful back country and landing on a small stretch of sand beach on the absolutely stunning Widgeon Lake. Lastly, we drove from downtown to a beautiful house in Point Grey. I’m not very familiar with that area of town so the GPS in my RXL was extremely helpful and very easy to use – always an important feature for Mom’s driving their kids everywhere. Once arriving at the house we were able to sample some lovely cocktails from The Liberty Distillery (who we had visited earlier in the day) and were treated to a lovely dinner by Chef Mark Singson. 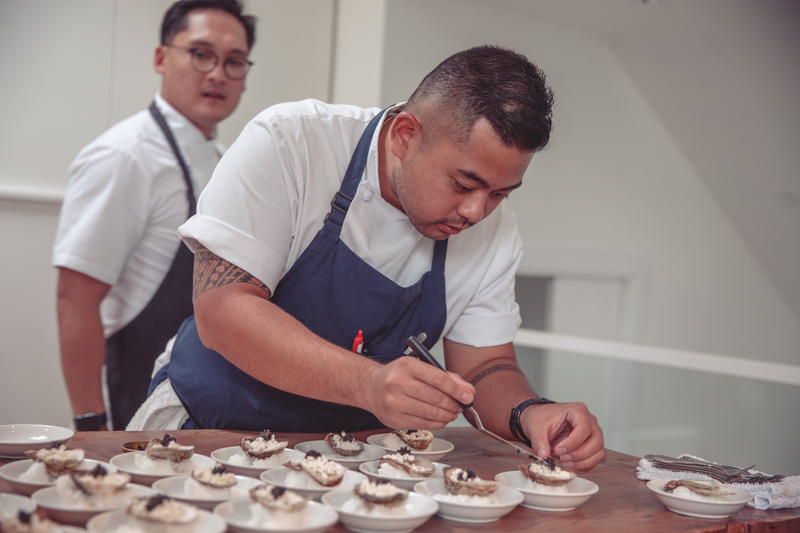 Mark has a very unique approach to cooking and finds inspiration in music and art. 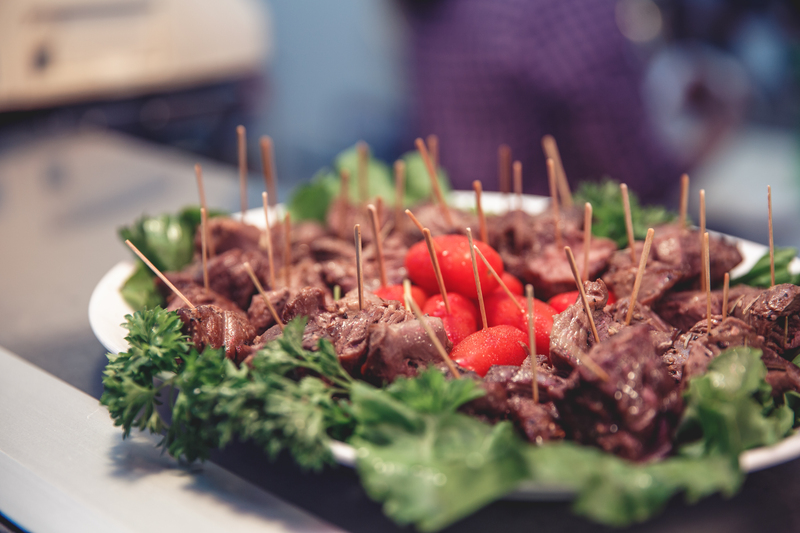 The food was absolutely delicious and the company was also extremely enjoyable. It’s always so nice to meet new people and learn more about their passions and what they do. It was an absolutely phenomenal day filled with learning and new experiences. 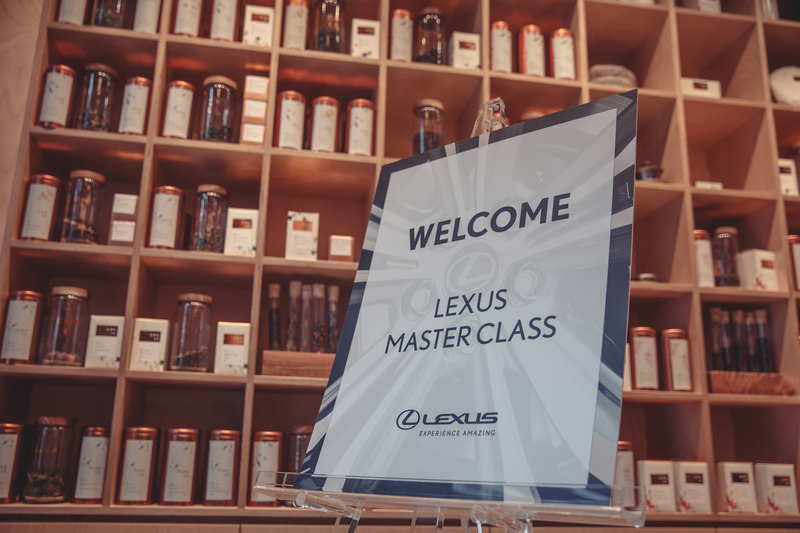 It was truly a fantastic way to learn more about Lexus and their core values, which certainly align with my own. The Lexus RXL is beautiful vehicle that would make an amazing choice for any family that is looking for more space, but wanting the added benefits of a luxury car. From a Mom’s perspective, this car has it all, beautiful interiors, great handling, navigation, safety features, sound system (even if you’ll most likely be listening to Disney songs) and a gorgeous exterior that truly embraces the meaning of luxury. 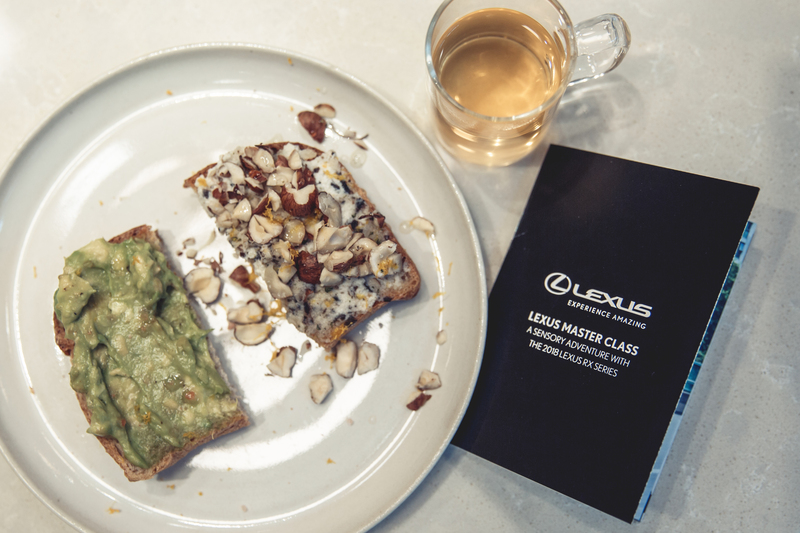 Thanks to Lexus for an amazing day and good luck to all your Mom’s out there searching for a little extra space and a little more luxury. UGH. Why does Spring Cleaning have to be a thing!? We work on cleaning out random cupboards, doing a cleaning over haul on our houses and of course, the wardrobe/closet spring cleaning (see my tips and tricks for doing this one here: http://bc.ctvnews.ca/video?clipId=839989&binId=1.1184694&playlistPageNum=1). But, what about Spring Cleaning your storage room? 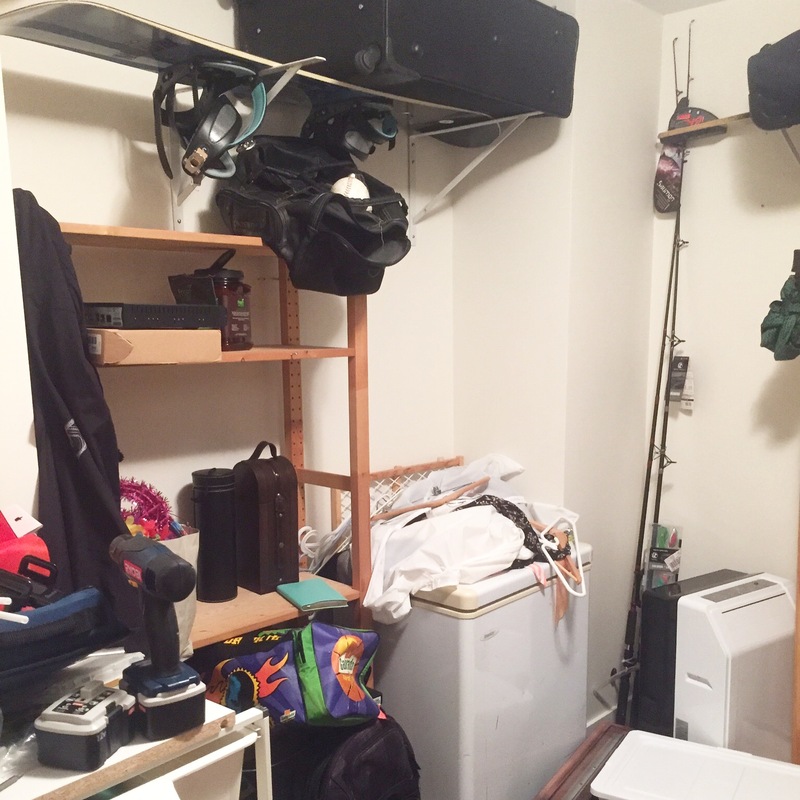 You know that one room in your house that is supposed to be properly organized, but ends up being a total mishmash of holiday decorations, pool toys (even though you don’t have a pool), boxes of old hockey equipment, suitcases, plastic cups from a summer party gone by, tools, winter boots that literally have holes through the sole…. Ok, ok, you get my drift here right? TIP #1: Get rid of what you have not used, is broken, not thought or forgot about. After all, one man’s junk, can be another man’s treasure, right? 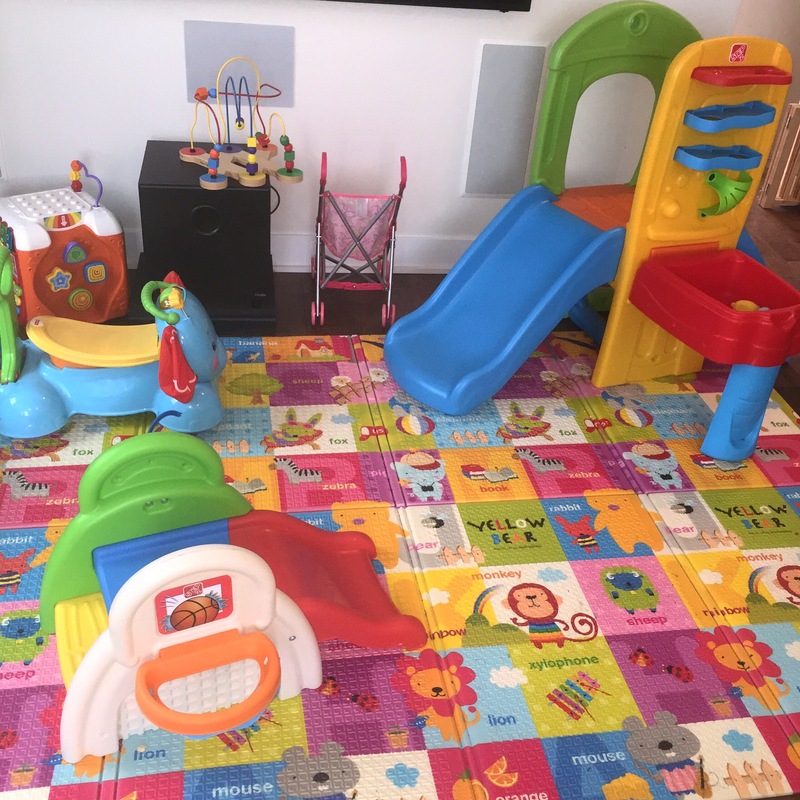 We have a 1 year old and as much as I never believed it would happen, she has amassed so many toys that our living room looks like a Toys R Us catalogue. So, we decided that our ‘storage’ room was going to turn into her own little play room, but more accurately, a space where we could keep her toys. 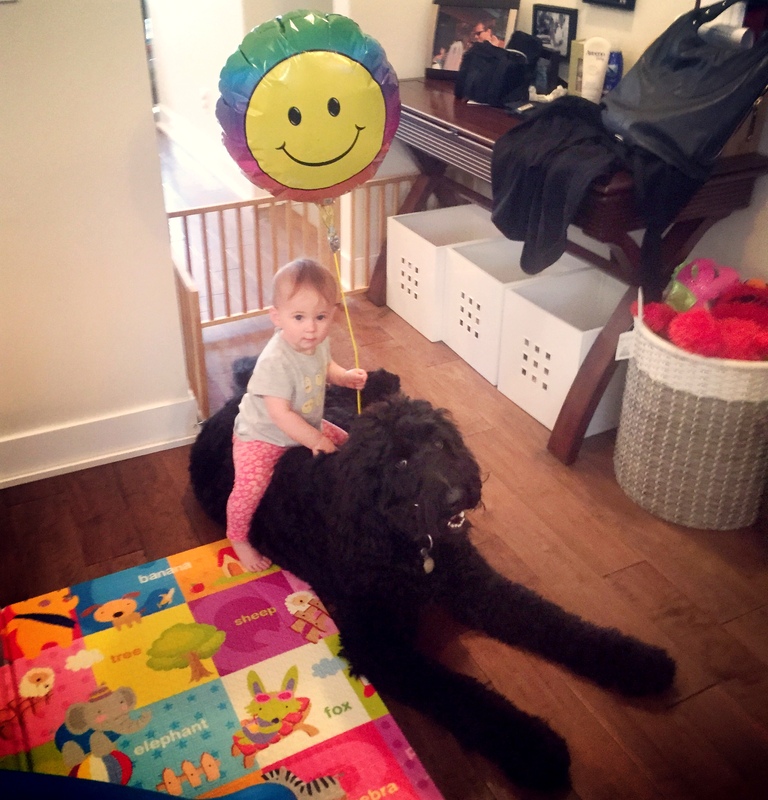 Also, have I mentioned that we share our living space with our 110+ pound bernedoodle? TIP #2: Know when to surrender to the toys and just give them their own space. After all, ‘adult only’ nights aren’t as special when plastic slides become make shift seats right? As it happens, this turned out to be a huge job. 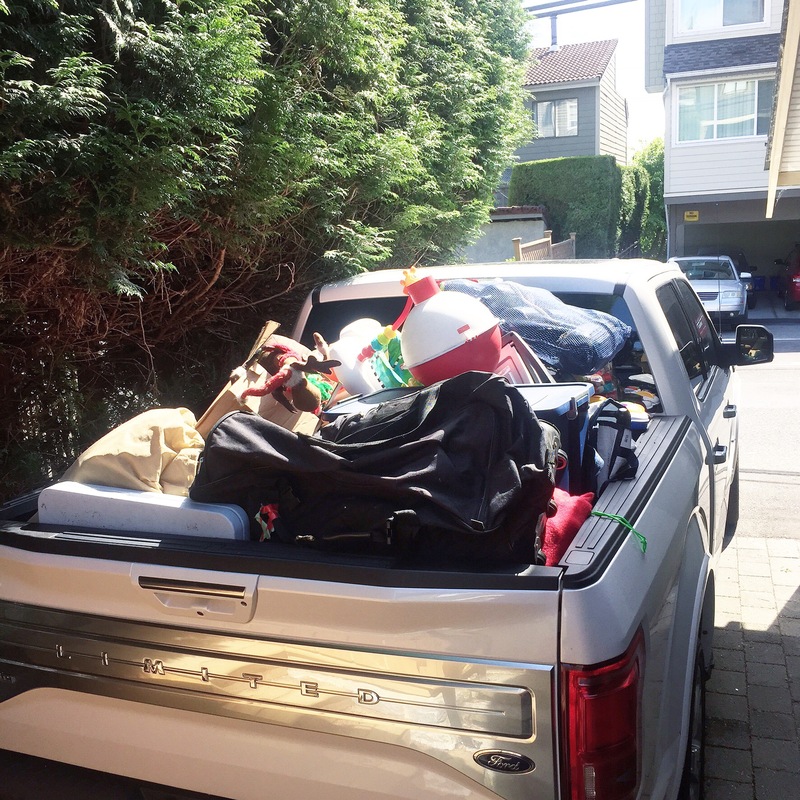 One second into starting it, I realized that it was going to take way too many trips to the dump and even more trips to our newly rented storage locker, thus having to be done over a few weekends and making our house messier and more cluttered in the process. TIP #3: Give yourself time to get the job done. As many of you know, Rob and I decided to get a Ford Edge late last year. It’s a perfect vehicle for us – enough room for us, JJ, all of her things and even though he can be a little squished, Louis (our dog). While the Edge is an amazing vehicle for our everyday, we definitely needed something a bit bigger to get this job done. TIP #4: Embrace your inner trucker and rent yourself a real mean truck! 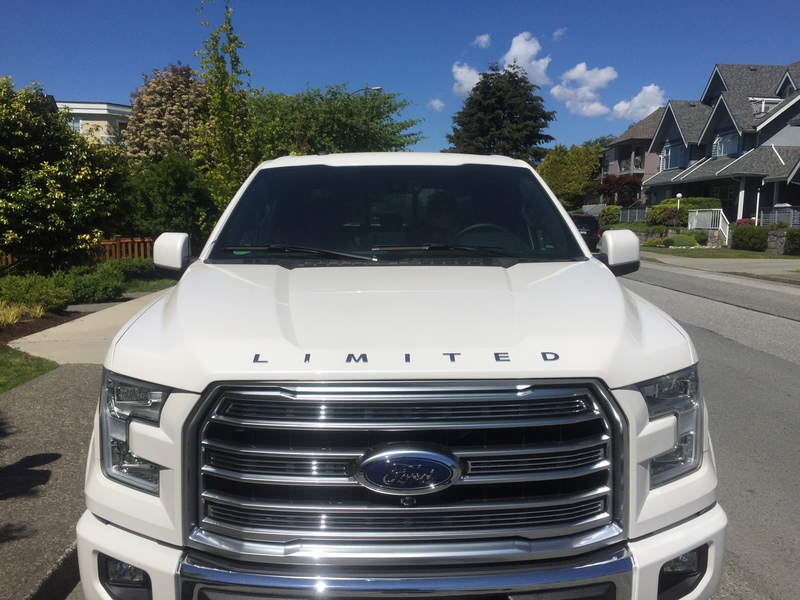 Enter the 2016 Ford F150 Limited. Man, is this thing a beast!!! At first I was pretty nervous about driving it, but the minute I actually did, I loved it. 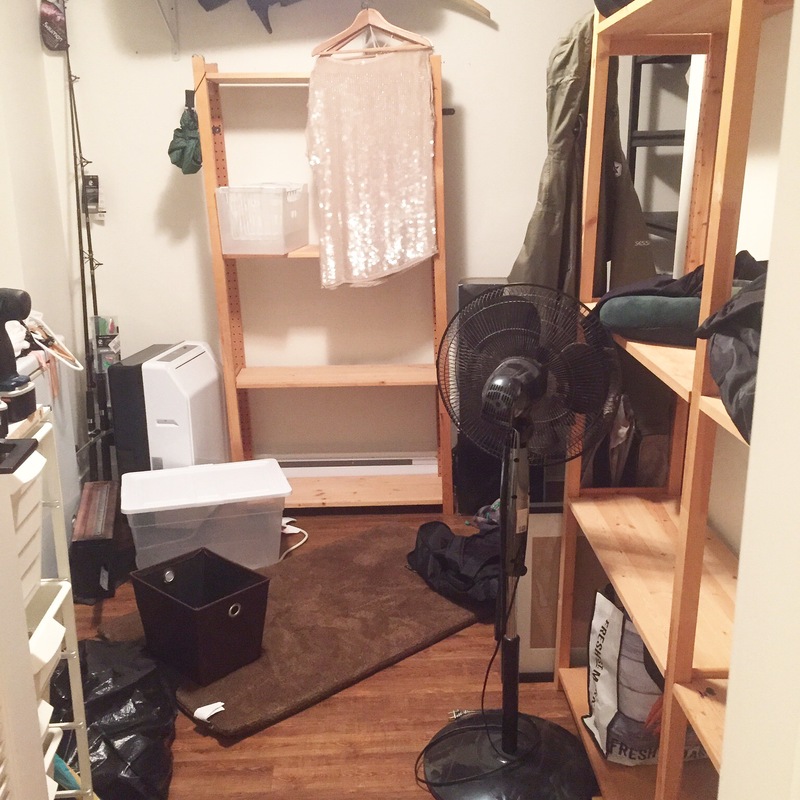 We were able to get the whole room cleared out with one trip to the dump and two trips to the storage locker (within 3 days). There was so much space to fit everything in and as a side note ladies, I’m pretty sure the interior made me want to re decorate my house. 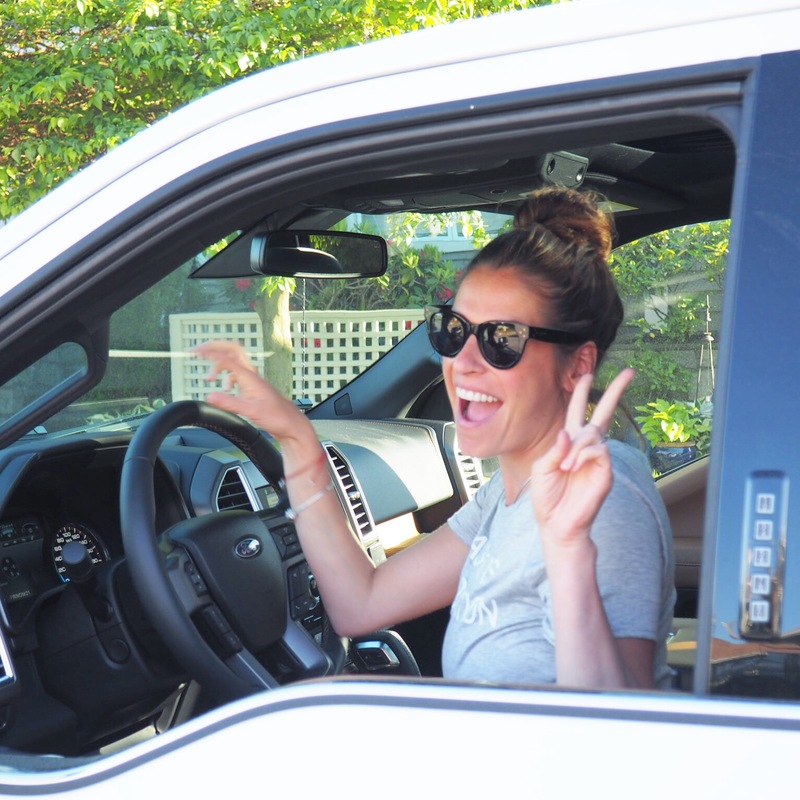 Needless, to say, saving trips back and forth (aka time) is so important when doing home updates with a little one, so having the truck was 100% the best decision ever. TIP #5: Refer to tip #2 but also, if you can find time savers, use them! They might just give you enough time to have a cold beer after a job well done or take your massive dog out for a hike! In the end, we got almost everything out of storage and now just have to figure out how we’re going to create JJ’s new toy room (around the deep freeze of course). But, even just the act of going through everything and reorganizing was liberating. As most parents know, it always feels like a constant organizational battle in your house, so freeing up just a bit more space is always such a nice thing to be able to do. TIP #6: Try as hard as you can to de-clutter and organize to free up as much ‘adult’ space as possible. This probably has to be done every month, but trust me, it is so worth it! Side note: I also turned into a major truck girl during this process and cannot even imagine having gone through this with out the F150. I’m already trying to figure out how I can get my hands on one for our family trip up to Kelowna this summer! Boat, baby, dog, skis, wake boards, crib, high chair, toys, suitcases and it goes on and on….. Most definitely a job for a truck! Stay tuned for pictures of the new play room! 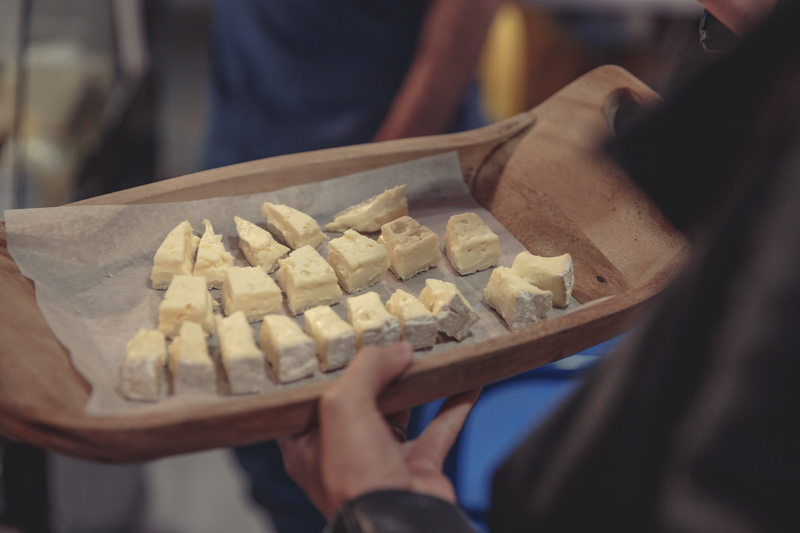 The Valentine’s Day date doesn’t always have to be all about the little black, red or pink dress. Stiletto’s, sequins or sultry necklines. Sometimes, the perfect outfit for Valentine’s Day is the one that is easy, simple and most importantly, comfortable! Hey! You never know what you might get up to on your date, right!? Personally, I’ve got a pretty good idea of what I’ll be getting up to and while I’m pretty sure it will involve something fun, it most definitely will be shared with a now very mobile 9 month old, so for me, comfort truly is key. Flowy blouse, over sized flannel shirt (with cute leather detailing) and my favorite black leather jacket. 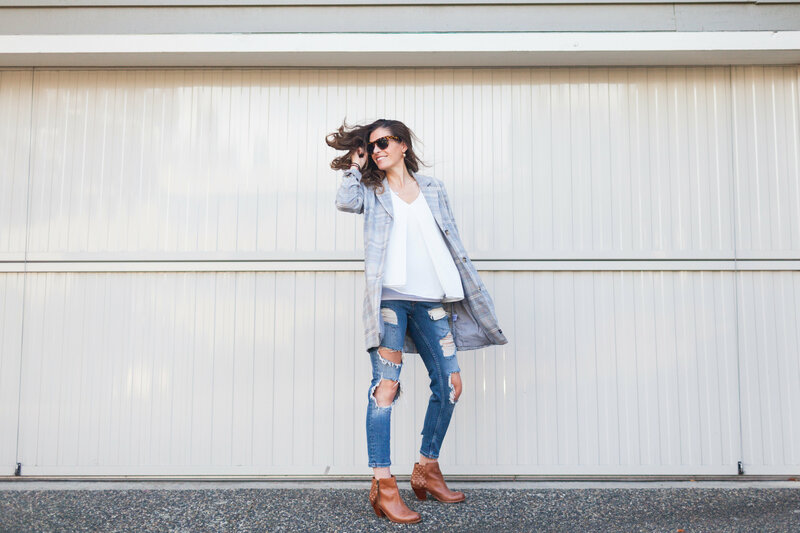 Layering is the key to this look. Not only does it give you tons to work with depending on where you go and what you do, but it also adds that little bit of personal flair to the whole outfit. While you could easily pair your top options with black or blue denim, I thought that a detailed legging would be the perfect addition to this look and these Golda Leggings from Karma Athletics absolutely fit the bill. The best part? A totally functional pant that has a fun mesh panel down the the front of each leg, which add that perfect amount of Valentine’s Day chic… and side note, I’m pretty confident these will make your Valentine do a double take! Add some booties, a bright red lip AND make sure to accessorize with your favorite piece of jewelry (or you know, a bunch of bright red heart balloons)!!! Happy Styling and Happy Valentine’s Day! 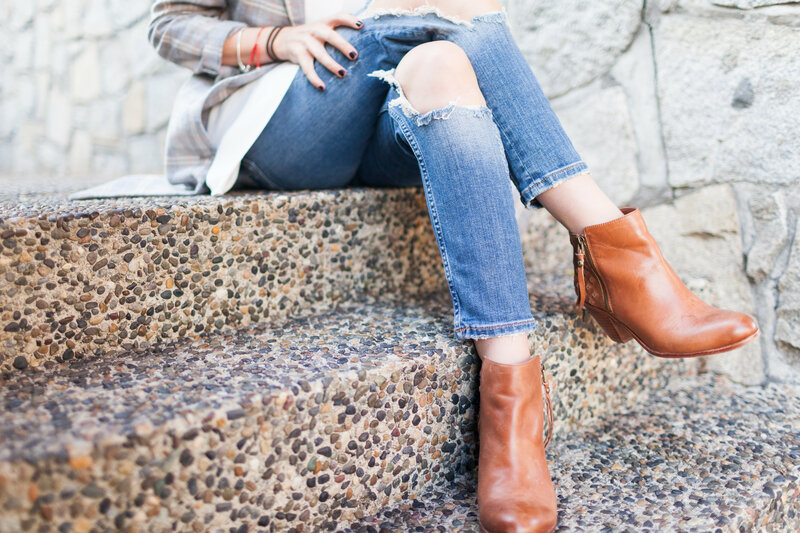 It might be a little cold for this type of completely distressed denim, but come on! 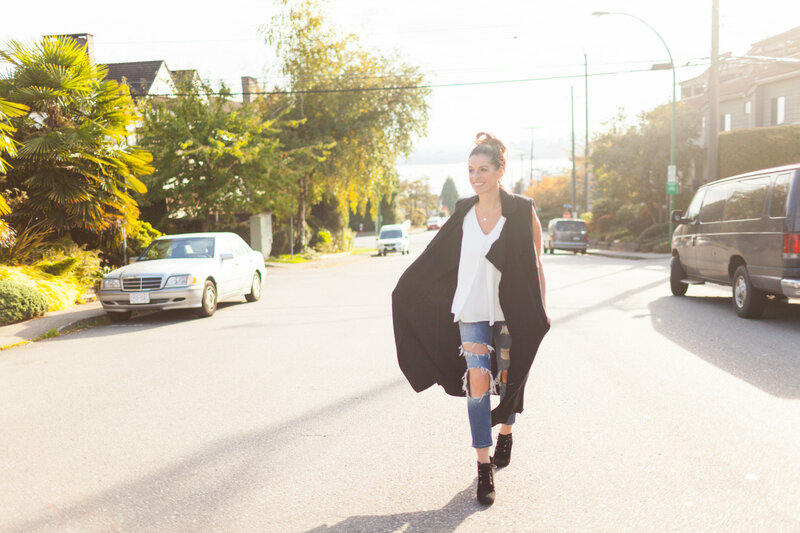 We all need that super comfy, barely there (I mean, are these actually considered pants?! ), pair of ripped blue jeans. This pair of affordable ($69.90) Zara jeans were my go to for Fall ’15 and I’m planning on finding a way to incorporate them into my winter wardrobe – I’m thinking, chunky turtle neck on top and lace tights underneath. (Pics to come of course)! 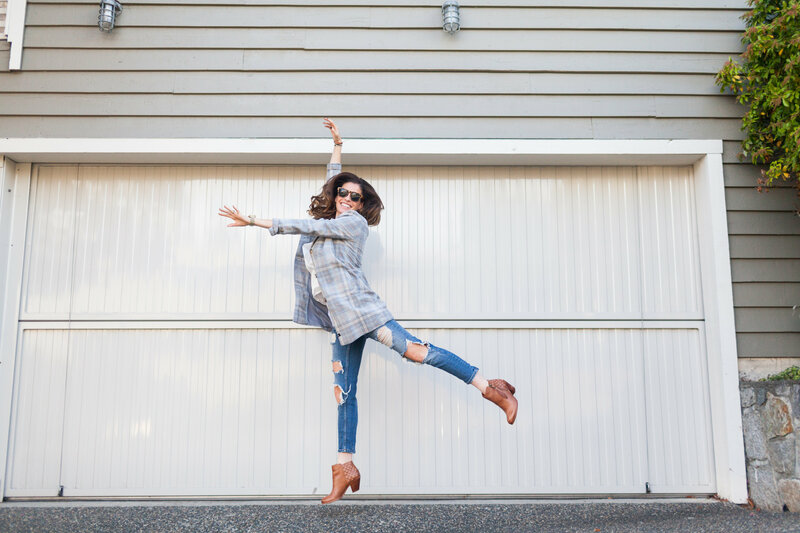 After all, your favorite pair of denim has to be a year long love affair. Welcome to my brand new website! I couldn’t be more excited about having a great place to share what I’m up to, all the video clips and info on my CTV Morning Live segments and of course, EVERYTHING style – from tips and tricks to must buy items and of course, how to simplify style and make it into something of your own. I’ve got a new comments section now, so I would love to hear your thoughts on my posts and any topics that you might want me to cover. Thanks everyone. I hope you enjoy! Prints and patterns are so fun to play around with, especially as the temperture gets warmer and warmer – I mean who doesn’t want to go pick up a flamingo printed cami or floral slip on shoes? BUT, as fun as those pieces are, I promise that key basics will truly be your best wardrobe friends this season – after all, what do you think you are going to pair those fun prints with? I snuck out to the mall this weekend and picked up 4 key basic pieces that I think… wait, scratch that, I KNOW will be staples for me from now until the end of summer! Check out where to buy them below or watch my video here. 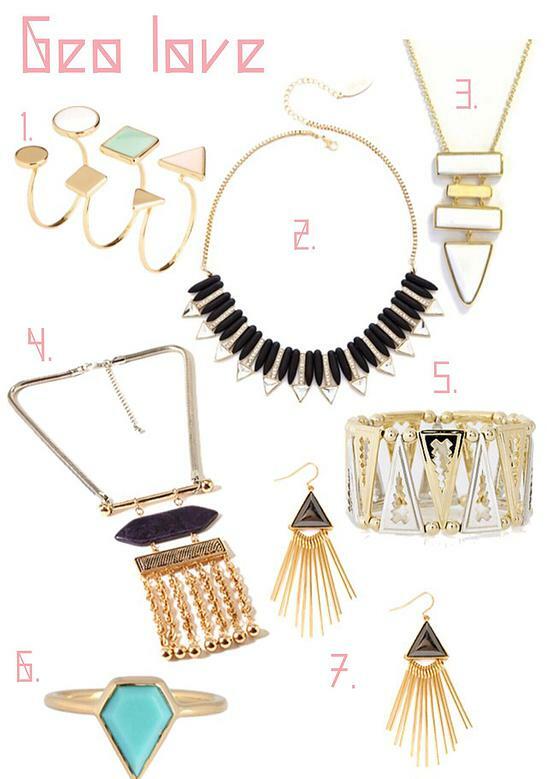 GEO LOVE: 7 lovely shaped (and priced) items to add to your accessory collection! We are seeing a huge GEO trend in accessories this Spring, and while I may not have been a geometry wiz in school, I can definitely figure out these 7 lovely shaped items! 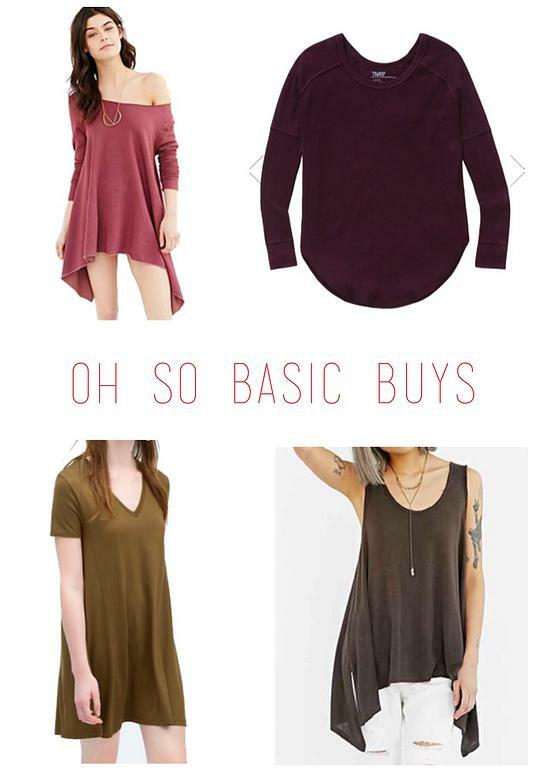 All are super easy to incorporate into your wardrobe (think flowy dresses, denim or easy basics) and also have the added bonus of being easy to incporporate into your budget!